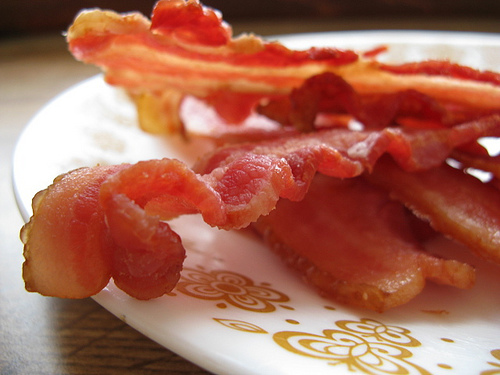 Everyday Nothings: Who doesn't love bacon? Jason: Jena, do you know what comes from pigs? Me: Yep. Bacon, pork chops, hot dogs, lots of things come from pigs. Jason (chuckles): You couldn't do that, Jena! Jason: You could take a cute little baby pig, feed it and take care of it, and raise it up, then kill it to get meat?